We have another sad Memorial Edition of the NNHS Newsletter today. 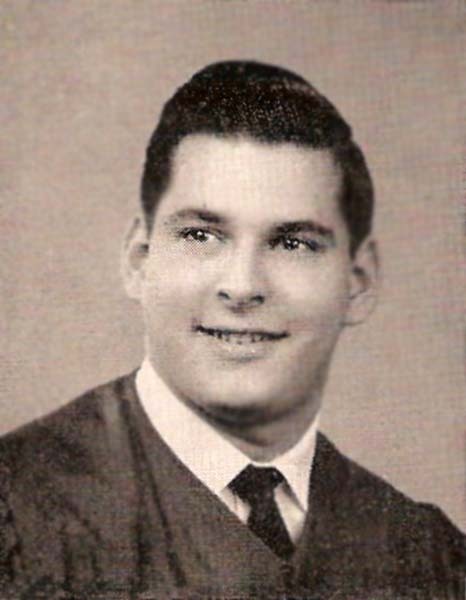 Ben Gordon, Class of 1954, passed away in Norfolk on Saturday, October 27, 2012 at the age of 76. May his memory be for a blessing always. One of our cherished classmates passed away this last Saturday, October 27, 2012 after a lengthy illness. You may go to the above website to express your condolences, should you choose to do so. Thank you so much, Jack. You have my deepest sympathies on the loss of your classmate. NORFOLK - Ben Gordon, 76, died on Oct. 27, 2012. The funeral service will be held at noon Wednesday, at Congregation Beth El. Condolences may be expressed to the family at www.altmeyer.com. View and post condolences on our online guestbook at dailypress.com/guestbooks. Published in the Daily Press from October 30 to October 31, 2012. NORFOLK - Ben Gordon, 76, died on October 27, 2012. He was predeceased by his parents, Sam and Florence Gordon. He is survived by his loving wife of 35 years, Brenda; four children, Stacy Smith, Debi (Ricky) Rothstein, Ivy (Howard) Keithan, and Shaina (Andy) Moore; seven grandchildren, Jaquelyn and Madelin Smith, Josh and Rebecca Rothstein, Jillian Rothstein, Jenna Dahl, Adam and Heather Dahl, and Caleb Moore; two great-grandchildren, Addison Marks and Isaiah Dahl. The funeral service will be held on Wednesday at 12:00pm at Congregation Beth El, 422 Shirley Ave., Norfolk, with Rabbi Jeffrey Arnowitz and Cantor Gordon Piltch officiating. Burial will follow in Forest Lawn Cemetery. The meal of condolence will be held at Congregation Beth El directly following the burial. 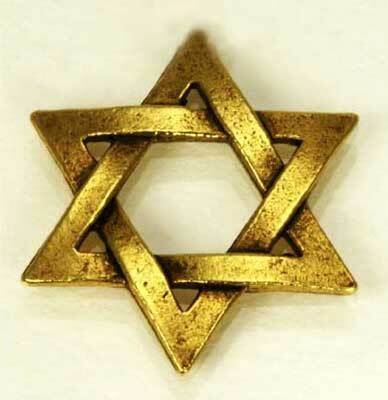 In lieu of flowers, memorial donations may be made to Congregation Beth El or CHKD. 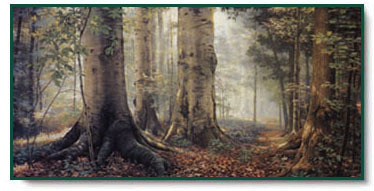 Condolences may be expressed to the family at www.altmeyer.com. Altmeyer Funeral Home, 5792 Greenwich Rd, Virginia Beach is in charge of the arrangements. To Brenda and all the family: My deepest and sincere condolences to all of you on the loss of a dear friend. Benji was one of a kind and I am so thankful that he played such a part of my life. I know his memory will live on in the hearts of all his friends and family. Brenda and Family, So sorry to hear about Ben. He will be missed by many. My thoughts and prayers are with all of you. Dear Brenda and Family, My heart and prayers go out to you and your family. I know how dear Ben was to your life and how much you will all miss him. May God bless you in your sorrow. Benji was a wonderful, caring and beautiful person. He always made my day brighter no matter what was going on in my life. He would call and say it's Benji baby, and he would tell me a joke and then at the end of the call he would say you have to promise me something. I would of course say anything Benji and then he would say promise me you will have a good day. I promise Benji to try to make everyday a good day. My thoughts and prayers are with Ben Gordon's family and friends from his family at Dr. Van Gomple's office. Dear Brenda - I was so sorry to read of Ben's death. I am thinking of you and send you my deepest sympathy. My prayers go out to you and your family. Benji was one of the sweetest people that I have ever met. He could always make me smile even on a bad day. It was a privilege to be able to help take care of him. To the entire Gordon family- I am so sorry to hear of Ben's passing. He was always so sweet! My thoughts and prayers are with all of the family and friends that love him. Brenda and Family: I am so sorry for your loss. Cherish all your memories of good times together during these difficult times. I am praying for God to comfort you. LOVING and peaceful memories of BEN are shared with our family at this time. We all extend our condolence to yours. Praying for his eternal rest. THINKING ABOUT ALL OF YOU. I was so sorry to hear of your loss. Ben was a wonderful man. He touched many lives and brought smiles to so many at the difficult moments in their lives. What a gift that was. We feel so blessed to have shared some of those special moments. We are so saddened by the news of everyone's beloved Ben, passing away. Your dear husband, Brenda, and Shaina's sweet daddy. We can not imagine your loss. We send our deepest sympathies to each of you and to the entire Gordon Family. Brenda, you and your family have been in my thoughts and prayers for the last several weeks. I continue to pray God's blessing and peace to all of you. WISH WE COULD BE THERE WITH YOU, BEN AND YOU WILL ALWAYS BE IN OUR HEART! WE LOVE YOU, GENE AND ANN! Brenda, I have been praying for "Norman's friend" and thought it might be Ben. Blessings and peace to you and your family. Brenda, my thoughts and prayers are with you, Shaina & family. May your hearts be at peace knowing he is no longer suffering. He is now with our Lord. God Bless! Brenda, God Bless you and your family. Keeping you and your family in my prayers in this difficult time. Sending you a (((HUG))). My deepest condolences go out to the family and friends of Ben Gordon. This world suffered a great loss but was left with great memories. "When someone you love becomes a memory, the memory becomes a treasure". Brenda, my thoughts and prayers are with you. Let me know if there is anything I can do. I am so sorry. Brenda and family, I am so sorry to hear of Ben's passing. He was a great man! God Bless You All! What a sweet man he was... Our thoughts are with you all. Brenda, May all the wonderful moments that you and Ben have shared give you comfort during this time. Keeping you in my prayers. You and Ben and family were much loved by the Class of 1954 Newport News High School. I am very thankful that I got to meet you and your family and help in Ben's care My thoughts and prayers are with you. Ben was a great man. He will truly be missed. Your family is in our thoughts and prayers. 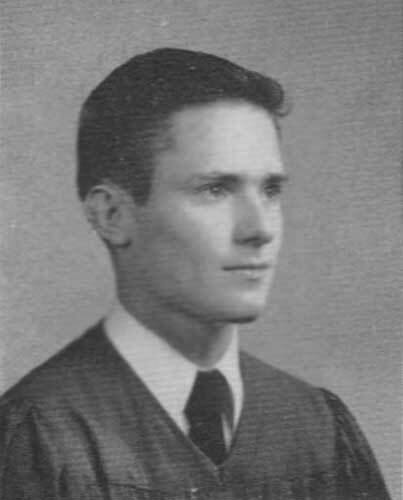 Dear Brenda and family - through the years, even though we were many miles from home, our thoughts often turned to the enjoyable times we experienced with Ben in the NNHS Class of 1954. He will always be remembered. May he rest in eternally peace and comfort. My heart and prayers to the Gordon family, Ben will be missed dearly but I will always have fond memories. To family and friends, my deepest sympathy. May the God of all comfort, 2 Cor.1:7, give you the strength to cope during this time of distress. My condolences to the family. I am sorry to read of your loss. May the Almighty God (Psalm 83:18) comfort you during this difficult time. Our sincerest sympathies are extended to the Gordon family and their friends at this time.